The Fairbanks Museum Planetarium in St. Johnsbury opened 50 years ago, and has been operating ever since with a single-bulb optical projector. Now the planetarium is getting a significant upgrade, which includes a digital projection system, new lighting and cushioned seating. 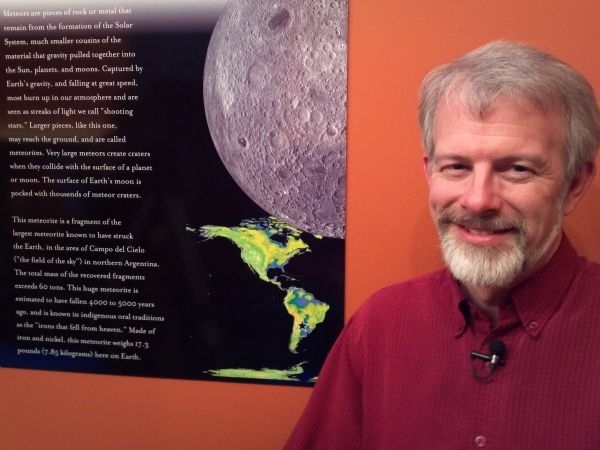 VPR’s Neal Charnoff speaks with the director of the planetarium, Mark Breen, about the new improvements. There will be an opening gala presentation at the Museum Friday at 7 p.m.
Transits of Venus – where the planet is visible as a tiny black dot slowly crossing the sun – are rare. The next one is happening on Tuesday, June 5th, and will be visible from North America, for a few hours just before sunset. After that, it won’t happen again for 105 years. VPR’s Jane Lindhom talks with Fairbanks Museum and Planetarium’s Charlie Browne and Peggy Pearl about establishing a new local history preservaton center.